We drive to bring you best quality products and to be the cheapest online direct to you. We offer one of the most comprehensive ranges of products and pride ourselves on our swift, reliability, efficient and friendly service. We endeavour to find such products and continue to provide a reliable, efficient and friendly service hoping to procure the reward of customers returning to our site and recommending us to their friends and family. We do our best keep our prices the lowest. We normally respond to emails within 24 hours. Thanks for shopping with us! This Neff Microwave Oven is the great for any sized kitchen, with a great capacity of 21l you can fit everything you may need into it and the built-in aspect of the microwave means you will conserve space in your kitchen and on your work tops. With up to 900W of power, 5 levels and a grill function this microwave allows you plenty of options and diversity in your cooking. 10 automatic programmes and means you can sit back and let your Neff microwave do the work for you and achieve fantastic results in the process and the 2.5 TFT display with ShiftControl means you can look through these simply through the built-in screen on your appliance. Stylish and bold, the black and stainless steel design will stand out in your kitchen and even from looking at the microwave you can see quality, care and efficiency. This Neff C17GR00N0B Built-in Microwave with Grill. Offers powerful heating functions such as Hotair and grilling technology, in a sleek and modern frameless design that will suit any modern kitchen. Ready in no time When you can't get food to the table fast enough, this microwave is perfect for re-heating, pre-cooking frozen foods, and cooking meals in next to no time. Microwaving with this Neff appliance is completely hygienic and the taste of your meals is never compromised. Completely user-friendly This design is easy to install and integrate into your kitchen, and with a side hinged door you can access your food with ease. The touch control display is super simple to operate, for hassle free mealtimes. Experience fast, high-quality cooking with this Neff. C17GR00N0B Built-in Microwave with Grill , designed to suit your busy lifestyle. Ex displayed with minor cosmetics imperfections for blemishes. Some of the pictures used are library photos which are not true representative of the item. We despatch items every day, Monday through Friday (excluding weekends, bank holidays and other British national holiday days). We use most reputable courier services for all UK and international destinations. Please allow extra days for bulky and larger items as there would be couriered through pallet courier service. Quotes for all other locations are available on request. All Orders are securely packed labelled and are dispatched. We always use traceable services; tracking information is available upon request. Returning item must be notified to us within 7 days and should reach us within 14 days from the date of receipt. Do not checkout on an item if you do not agree to our terms & conditions or are unsure of anything. Our feedback is very important to us. Leaving feedback as soon as item is received is indication that you have received the item safely and on time. New items will have been opened to enable us to security mark and record serial numbers this is to help prevent the increasing amount of people trying to attempt. RETAIL FRAUD PLEASE BE WARNED. The item "Neff C17GR00N0B 21L Microwave Oven" is in sale since Monday, November 26, 2018. This item is in the category "Home, Furniture & DIY\Appliances\Small Kitchen Appliances\Microwaves". 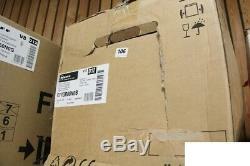 The seller is "net-shoppingcom" and is located in Essex. This item can be shipped worldwide.